Objectives: Recent experimental studies have suggested that isoflavones (such as genistein and daidzein) found in some soy products may reduce the risk of cancer. The purpose of this study was to evaluate the relationship between soy milk, a beverage containing isoflavones, and prostate cancer incidence. Methods: A prospective study with 225 incident cases of prostate cancer in 12,395 California Seventh-Day Adventist men who in 1976 stated how often they drank soy milk. 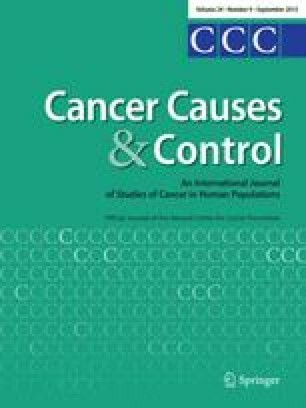 Results: Frequent consumption (more than once a day) of soy milk was associated with 70 per cent reduction of the risk of prostate cancer (relative risk=0.3, 95 percent confidence interval 0.1-1.0, p-value for linear trend=0.03). The association was upheld when extensive adjustments were performed. Conclusions: Our study suggests that men with high consumption of soy milk are at reduced risk of prostate cancer. Possible associations between soy bean products, isoflavones and prostate cancer risk should be further investigated.